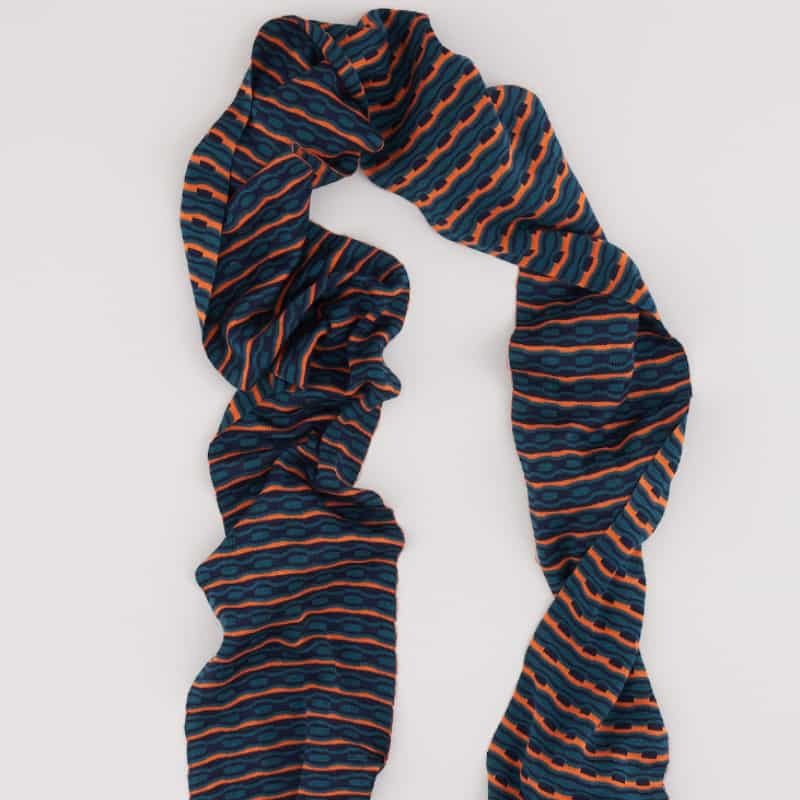 Handmade Knitted Silk Scarf, crafted with colours inspired by Olivia’s photography of Iceland. 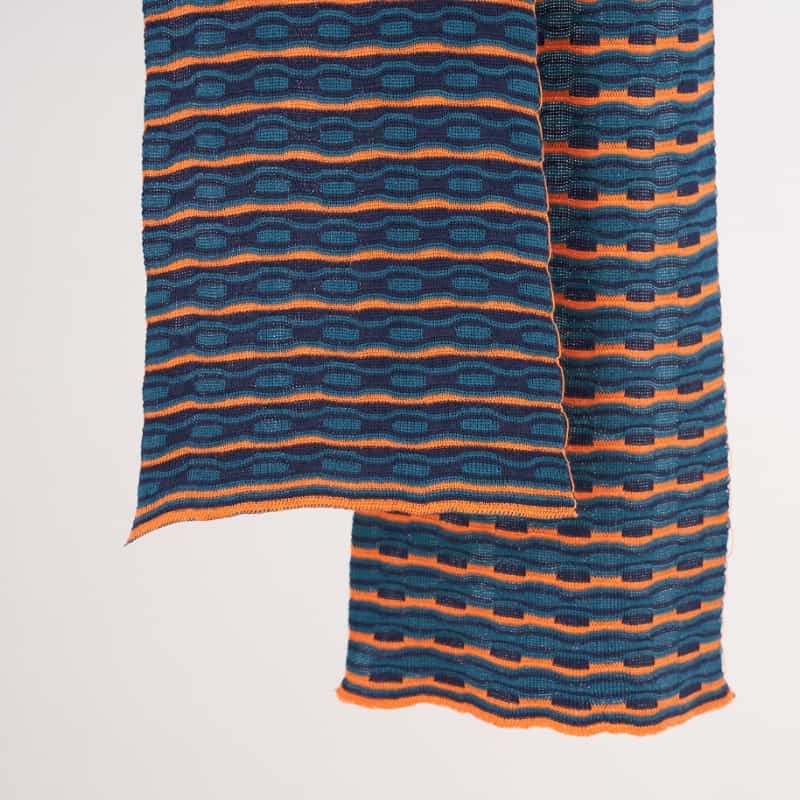 This Ovals Scarf is crafted from 100% Silk in teal, orange & navy, knitted by Olivia on a Santagostino 12gg Industrial Knitting machine in her London studio. Due to the nature of this process, no one piece is ever exactly the same.The luxuriously soft silk is light enough to be worn in summer, but also keeps you cosy come winter. Every piece from ‘The Glacial Collection’ is designed to be unisex, with unique colour combinations in simple but bold designs. Every scarf is reversible, meaning you get 2 designs in one. The narrow scarves can be worn over the shoulders as a dress scarf, wrapped around the neck to keep warm, or tied around the head to create a luxury head scarf.